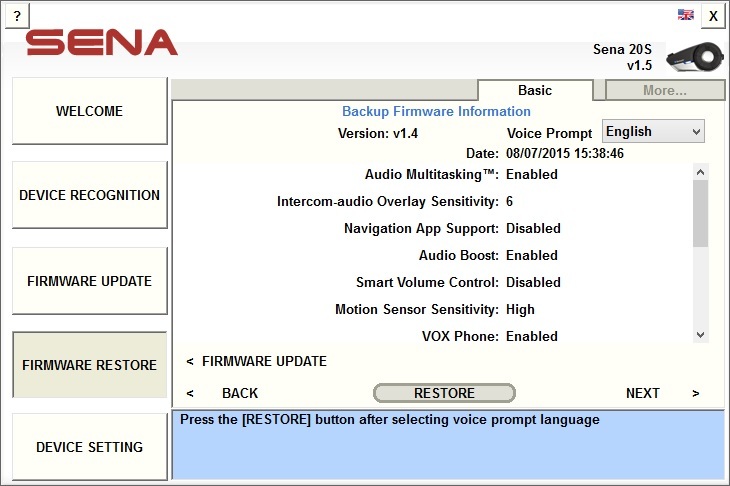 After recognizing device, users can restore to the backup firmware information file including firmware information and device settings. 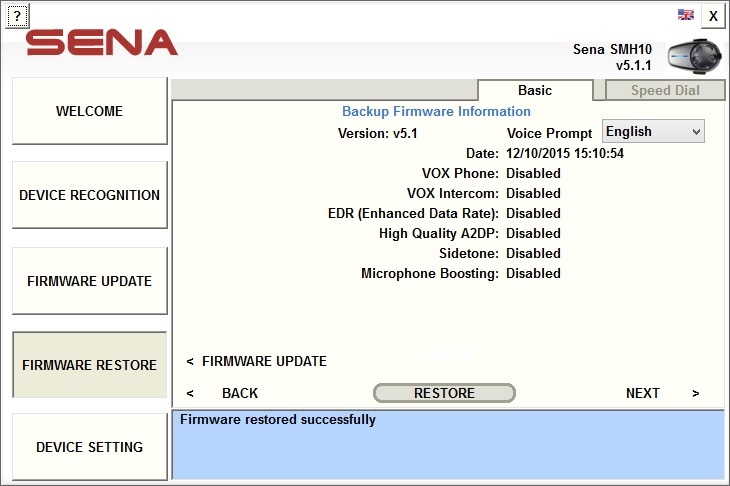 The backup firmware information file is made whenever updating firmware is committed. Only the last backup firmware information file can be restored. : displays information of backup firmware. : starts restoring firmware corresponding to backup firmware information file. Recognizing device after successfully restoring firmware. 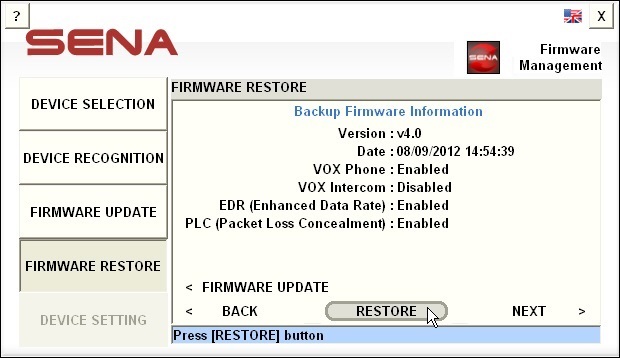 Displaying the [Firmware restore] page with information of device with restored firmware. 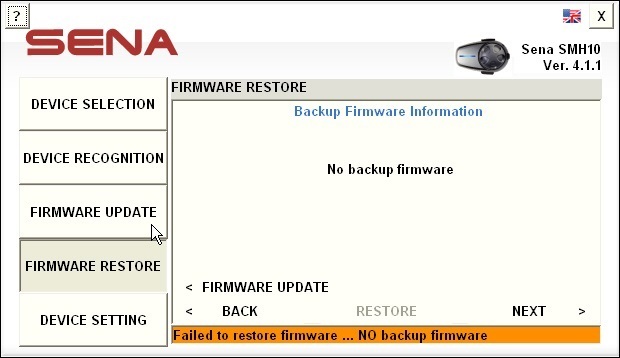 If there is no backup firmware information file or the manager cannot connect to the server, it is impossible to restore firmware and settings. In these cases, the [Firmware restore] page displays error messages to notify users that restoring is impossible.